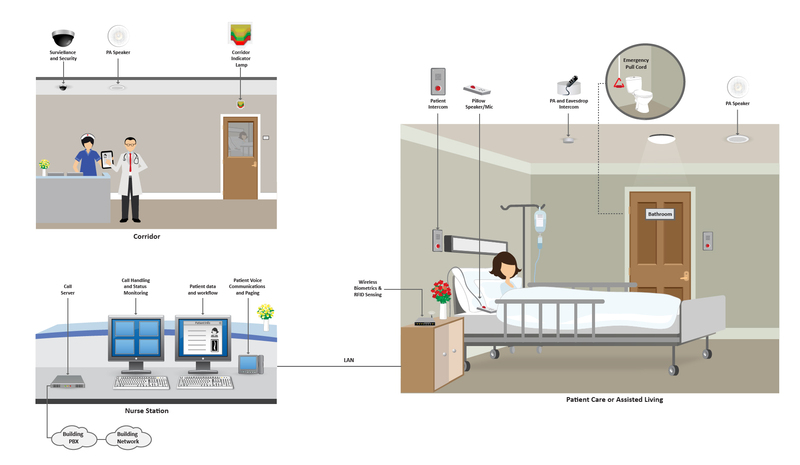 Arcturus healthcare system solutions combine active device status supervision using a direct connection to a local care station or remote central monitoring station. Audio communications are designed to meet or exceed NEMA recommendations and video feed can be provided to improve situational awareness. Systems can integrate with wired or wireless sensors, assistance buttons or body worn trackers and the solution offers integration options to support third-party equipment such as corridor lights, audio alerts, activity trackers, biometircs and wandering. With Arcturus solutions it is possible to create centrally operated patient response systems that meet or exceed NEMA audio intelligibility recommendations, while offering tight-integration with existing equipment and work flow.